'The Unpredictability of Being Human', by Linni Ingemundsen: Blog Tour & Guest Piece. | Almost Amazing Grace. 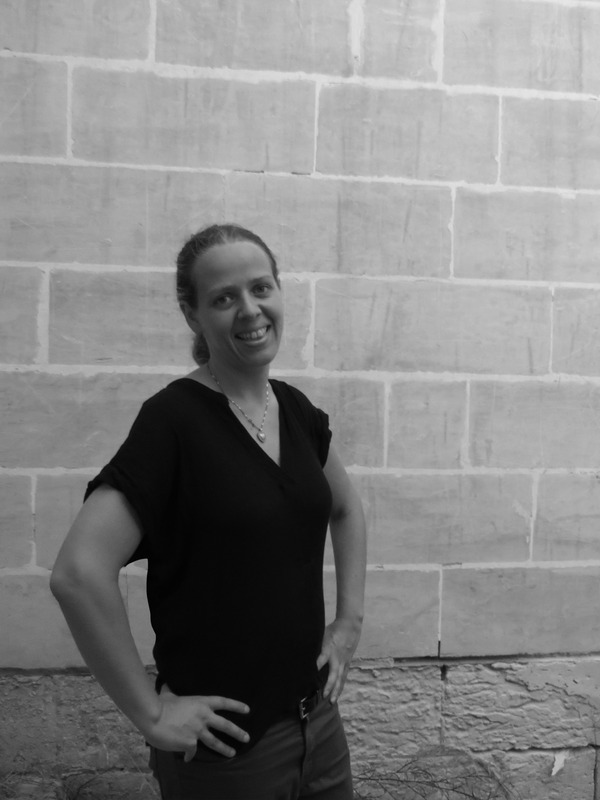 'The Unpredictability of Being Human', by Linni Ingemundsen: Blog Tour & Guest Piece. You readers may have seen on here recently that I read a wonderful selection of YA, all with incredibly strong voices. 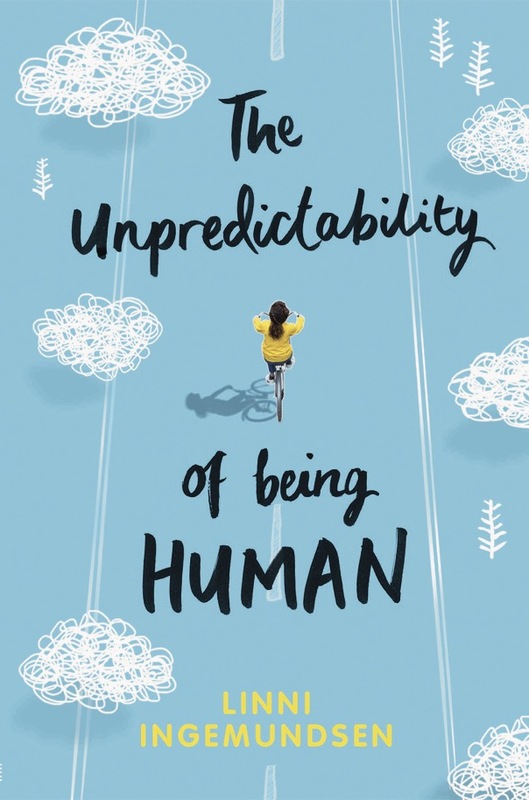 This book, 'The Unpredictability of Being Human', was definitely one of the absolute best of that bunch. 'Meet Malin, a fourteen-year-old who sees the world differently. Malin knows she couldn’t change much about her life, even if she got to play God. Her dad would still yell all the time – especially as Malin is still friends with Hanna, the girl she met shoplifting. Her mum would still say a glass of wine is good for her heart – and Mum needs it, with Malin’s brother, Sigve, getting into trouble all the time. If she were God for a day, Malin wouldn’t imagine changing much. Because stuff's okay, mostly. And if He could fix the world, wouldn't he have done it already? And Malin would still be Malin. Because she can’t be anybody else. In a voice bursting with immediacy and truth, Malin shares the absurdities of growing up and fitting in as her family struggles with the buried pain of mistakes made and secrets kept. I loved this story, because it was told in an unconventional way. Malin's voice was unique and fascinating, and as things happened around her she'd react and share her thoughts with the reader - quite calmly. Linni Ingemundsen is the author of 'The Unpredictability of Being Human' (Usborne). A story for the outsider in every one of us. A portrait of small-town Norway, a community that sings with pain, humour, and a whole lot of nothingness, told through the eyes of a unique teenage girl. After a session at my MA Creative Writing course at Oxford Brookes some of my coursemates suggested that there might be some sort of sexual tension between Malin and her cousin Magnus. (WHAT?) This completely freaked me out, because that was obviously never my intention. (I mean, WHAT?) Malin’s love interest is clearly Ruben! In chapter nine Malin has interactions with both of these characters. The reason I added the bit about the ornaments was an attempt to make it clear who Malin really likes. It’s okay for one of them to mess with Mom’s precious porcelain figurines. It is not okay for the other. I like this part because it didn’t feel like I was trying too hard when writing it and I wasn’t trying to please anyone. Everything just came together naturally and I felt that I achieved what I wanted the to do. We don’t get much snow here in Haasund during wintertime. Mostly we just get a lot of rain. And frost. So I was excited when it started snowing the other day. I watched it from my bedroom window. It came down slow and gentle and covered Thorstein Street like a white blanket. I hoped that it would stay for a while, but I knew that it wouldn’t, because Sigve had already told me that it would melt the next day and he’s always right about everything. At 2.47 p.m., Magnus came over. He was carrying his Converse messenger bag, so I guessed he’d come straight from class. I showed him into the living room but he didn’t sit down. He just went around the room picking things up and looking at them for a little while, before putting them back in place. He acted like it was the first time he had been to our house. “How’s it going?” he said as he picked up one of my mom’s porcelain birds from the shelf above the TV. “Fine,” I said. He fiddled with the bird in his hand and I was nervous that he would break it. My mom loves her porcelain figurines. “Will you stop messing with that?” I took the bird from his hand and put it back between the giraffe and the polar bear. “Hey, thanks for not dying the other day,” Magnus said. I just smiled, because I’m really glad Magnus isn’t my brother. If he was, he would hate me. “Hey, check this out.” Magnus took out his phone and showed me a photo of a really old-looking orange moped. It looked like a piece of junk. As usual, I had no idea what he was talking about. So I kept my mouth shut, hoping the mystery would be revealed if I just let him keep talking. I kept staring at him. His icy blue eyes were locked on mine. He didn’t blink. Neither did I. Then Sigve reached into the back pocket of his jeans and took out his wallet. He fished out a hundred-kroner note and held it out to me. I didn’t know what I was leaving, so I took it. Then Sigve said a quick “See you later” to Magnus, before going back down to the basement. “What was that about?” Magnus asked. I nodded. It was so secret that I didn’t even know myself. Magnus and Sigve both attend upper secondary school in Bryne, which is the closest city, and they have to take the train to get there. They are not in the same class though, because they are doing different courses. I shrugged. “I don’t know.” Like anyone tells me anything. At 3.29 p.m. Magnus got up from his chair and said, “I better get going.” Before leaving the room he turned and did a two-finger salute, like a scout or something. “Catch ya later.” He can be really corny sometimes. Shortly after he left, the doorbell rang. I sighed to myself as I got up to open the door. What did Magnus forget this time? But when I opened the door it wasn’t Magnus who stood on my doorstep. Ruben didn’t say anything else; he just stood with his hands in his pockets and looked at his shoes while he kicked a little stone around. “Do you want to come in?” I said. Ruben looked at me and smiled, revealing his crooked front tooth. We went into the living room and Ruben took a quick look around. He walked over to the side table and picked up a candlestick. He weighed it in his hand a little before putting it back. What is up with people and their need to pick stuff up and put it down? Ruben moved over to the shelf where my mom keeps her porcelain figurines and picked up the giraffe. “You’ve got your sling off,” he said. Ruben turned the giraffe upside down like he was in a shop, checking its price or something. Ruben was turning the giraffe around and around. It looked like it was performing somersaults in Ruben’s hands. But he didn’t get to finish his sentence, because suddenly the giraffe slipped out of Ruben’s hands. It plunged to the floor, and hit the parquet with a thud. The neck broke in half as soon as it hit the floor. We went into the kitchen and I got the tube of glue from the big drawer with all the junk. Then we sat down at the table and I put a little glue on each piece of the giraffe. It was a pretty clean break so it was easy to stick the two pieces together, but when I let go, the top part started to slide off the bottom part so I had to grab hold of it. “Guess I have to wait until the glue dries before letting go,” I said as I held the two pieces together. “Maybe it needs more pressure,” Ruben said and gently put two of his fingers on top of mine. His skin was warm and my hands started to tremble a little and I was worried that we would drop the giraffe again. “Try now,” Ruben said after a couple of seconds and removed his fingers. I let go of the giraffe and the pieces seemed to stay together. “I think I will leave it on the table until I’m sure that the glue is completely dry,” I said. “Do you want a glass of blueberry squash?” My mom always offers drinks to her guests. I poured two glasses of squash and then we drank it while watching the glue dry. The giraffe didn’t look half bad, but I noticed that I had used a little too much glue. It lay around its neck like a transparent life preserver. Maybe it wouldn’t be noticeable from a distance? “Is there any more squash?” Ruben said. After we finished our drinks, I put the giraffe back on the shelf. I pushed it a little further to the back and moved some of the other figurines in front, hoping the giraffe would be less noticeable. Then we watched a couple of episodes of The Ranch, and we both laughed in the same places. At 4.48 p.m. my dad came home and wondered who the hell had finished all the blueberry squash. I said he didn’t have to, and explained that my dad yelling is no big deal at all, really. But Ruben wanted to go anyway so I showed him to the door. I think I was around nine years old the first time I said that I was going to be an author – and I said it with the utmost confidence. Because back then writing was so easy. Obviously not because I was better at it, but because I never questioned myself. I just trusted that everything I wrote was a true masterpiece. One of my first stories was about a mouse named Robinson who was looking for his hat. He found it halfway through and then the story ended up being about him trying to get a hold of some cheese without being caught by Lurifaks, the cat. Plot twist! It didn’t make much sense, but to me that didn’t matter. Because I didn’t know. I remember very clearly when I first started writing, but I don’t remember when I stopped. I might have been around sixteen when it started to play less and less of a part in my life. None of my friends were into writing, it seemed like a strange hobby to have and I guess I just got busy doing things that seemed more important at the time. To me it doesn’t really matter why I spent so many years of my life not writing. The most important thing is that I found my way back to it. When I started my MA course I was very surprised when I ended up writing stories that took place in small Norwegian towns. After all, this was an environment that I had felt I so desperately needed to escape. I think there has always been a small part of me that felt like I didn’t belong in my home town. That I was different from everyone else. And didn’t fit in. And I am pretty sure people thought I was different too. The thing about small towns is that it doesn’t necessarily take much for you to stand out, and if you stand out in any way, chances are you are a weirdo. There was also a part of me that loved my home town. I had the best of friends and being part of a community where everyone knew each other and felt comfortable and safe. At one point I was 100% sure I would stay there for ever. I dreamed of me and my mates getting flats in the same building and that we would hang out all the time and visit each other on a daily basis just like one long episode of Friends. But like most things in my life this feeling didn’t last too long. Around age twenty one I remember being very restless and bored and I had no clue what I wanted to do in the future. I strongly felt the need to go as far away as humanly possible. So I went to Australia. Four months before my visa expired I had run out of money and I couldn’t afford my return ticket, so I worked as a dishwasher every day for two months to earn enough money to go back to Norway. I honestly thought that this journey would solve everything. That I would find myself and suddenly all the answers as to what I should do with my life. Today I am just as restless and I constantly have the need to go somewhere else and experience something new. The way I see it, I don’t have a home. When I go back to my home town I am just visiting a place where I used to live. Every time I move somewhere it feels like a place where I live for the time being, because I know I won’t be there for long. I used to think that one day in the future I would be able to settle down, but now I am not so sure. And maybe this is the reason I am fascinated by the place I grew up. The people who live there seem so content and happy. And at peace. But I know that this place isn’t right for me any more and everyone needs to find their own version of happiness. The Unpredictability of Being Human started with me burning a bag of popcorn. I knew nothing about the character or the story when I wrote the first couple of lines and I really did not expect it to end up being a novel. The first chapter was originally a short story and I thought that I was done. But then I realized that there was so much more to explore about this character and I really enjoyed writing in her voice so I decided to see where I could take it. The characters and Malin’s personality all came rather spontaneously. It was a strange way to write because normally I would at least have some sort of an idea of a story, a scene or a character before starting. But it was a very interesting process and I loved getting to know Malin as I wrote it. Today, writing is not fun and easy all the time. It is hard and frustrating and I often find myself staring at a blank page, scared to get started. Because getting started is often the toughest part. The true magic for me is the moments where everything starts to come together. I love re-writing and editing myself and making it better. And then I’m reminded why I love writing so much. It is kind of like the relief you feel after finishing an exam. I have becomes a true master at procrastination. While writing this author’s note I have watched numerous YouTube videos, found out which Disney Prince is my soulmate and what I should name my cat (I don’t even have a cat). But as long as you get there in the end it is okay. And sometimes okay is enough. For the past three years I have been a part time cartoonist who can’t draw. And now I am a writer. Who can’t spell. Waterstones / Amazon / The Book Depository. And for your chance to win a copy of this excellent book, see the tweet below! What's this? Another bookish #giveaway!? For your chance to win a copy, RT this and follow me.